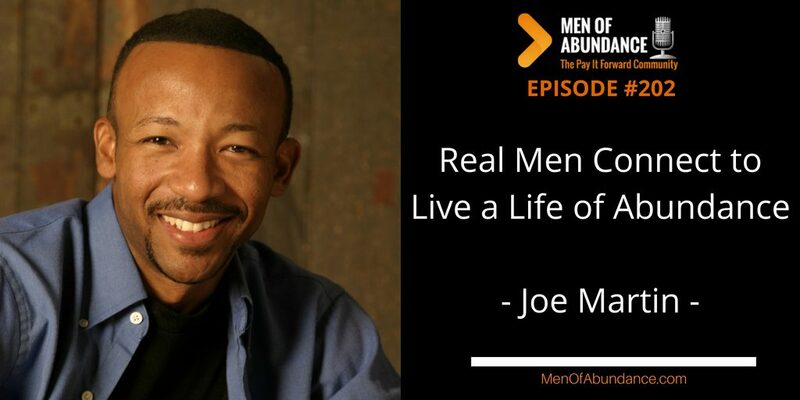 Real Men Connect to Live a Life of Abundance! Real Connection is key to a full life of abundance. And when real men connect, the mind power is quite overwhelming. This simple act of connection has been somehow lost over the years. Joe Martin is here to do his part in bringing men back together. Dr. Joe Martin is an award-winning international speaker, author, educator, and certified “man builder.” He’s authored or co-authored nine books, including Are You the Man: 201 Lessons I Wish My Dad Would Have Taught Me, The Real Man Spiritual Leader Blueprint, and Gifts & Handkerchiefs: A Lesson in Servant Leadership. Joe has spoken for more than 750 businesses, organizations, churches, colleges & universities, and K-12 schools/districts, and he was voted “National Speaker of the Year” by the Association for the Promotion of Campus Activities. He’s also the host of “Real Men Connect,” the #1 top-rated radio podcast on iTunes for Christian Men.